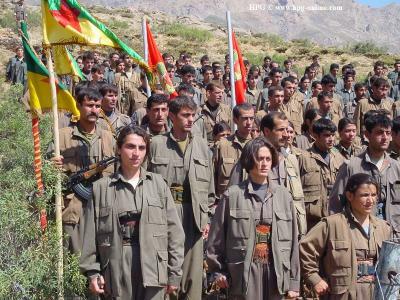 On 8 May 2013, the Kurdish rebels of the Kurdistan Workers Party (PKK) in Turkey began their withdrawal from Turkey to northern Iraq, to return to their bases in the mountains of Iraqi Kurdistan. This approach adheres to the framework of a peace process initiated by the call of jailed PKK rebel leader, Abdullah Ocalan, a cease-fire with the Turkish government. Launched on March 21 on the celebration of Nowruz (the Kurdish New Year), the call for peace, gave hope to end a conflict that lasted three decades and has caused the death of 45,000 people of the both Participate (Kurdish and Turkish). The prospects for peace, this time seem stronger than ever. The peace plan provides for withdrawal of Turkey some 2,500 PKK fighters until autumn. Then, following the release of hundreds of Kurds for their links with the PKK. In addition, the new Constitution (under discussion) will expand the rights of Kurdish people in Turkey. We encourage both parties to continue their efforts to find a lasting solution to this conflict that claimed the lives of thousands of individuals from both sides. Finally, to strengthen this process, we call for the European Union and the United States also the United Nation to play their role in the peace process.